Spring has finally sprung! While spring came in with 6 inches of cold, wet snow, it’s finally starting to warm up and the sun is shining. Easter is less then 2 weeks away and I’m ready for warm weather and sunshine. 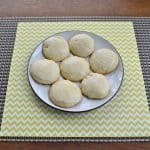 I was looking for a cookie to brighten up my day and found these tasty little almond sugar cookies. I like that the cookie is the perfect balance between all purpose flour and almond flour. 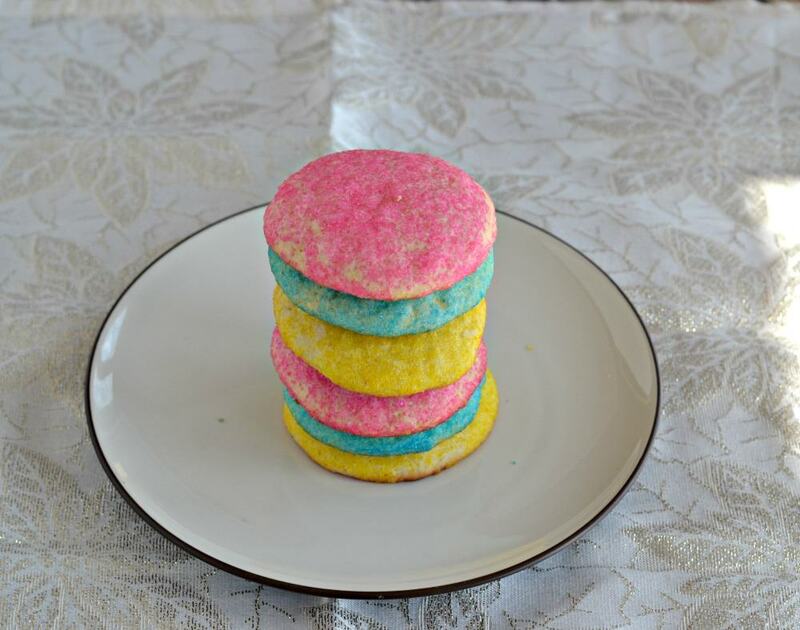 It makes the cookie firm enough that it holds together well but it’s super tender and flavorful. The bottoms get a little brown and crisp but the cookie itself is light and buttery. 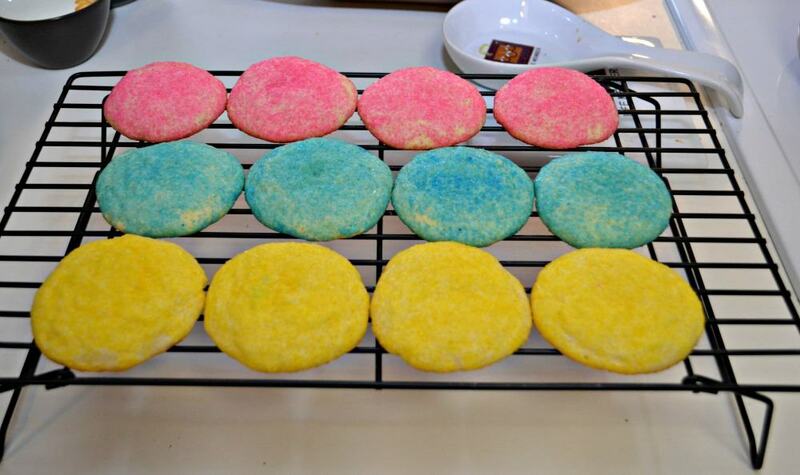 The thing that makes these cookies really fun is the bright colored sugar. 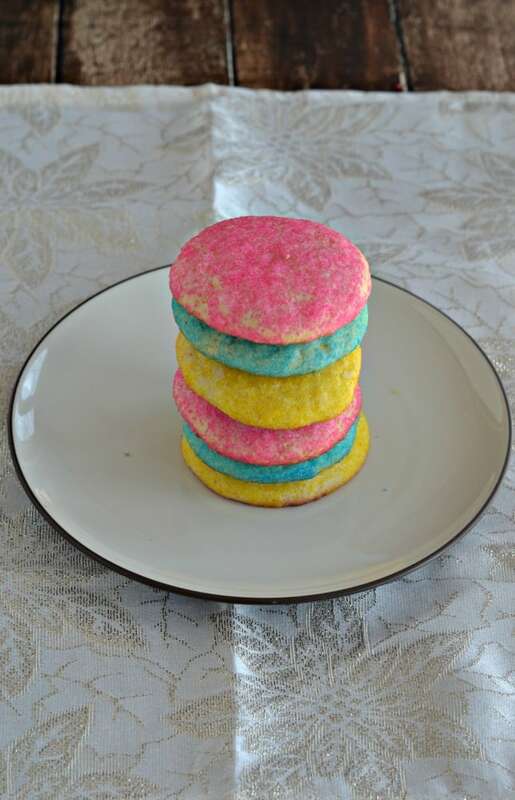 Before the cookies are baked they are rolled in colored sugar. I used bright blue, neon pink, and yellow. I thought these were great colors for spring and Easter. While baking the cookies puffed up and made perfect circles. 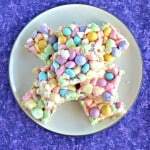 The colored sugar sparkled like bright jewels. 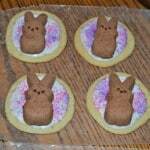 These cookies not only tasted amazing but they were so pretty! I took a few to school and everyone raved about the color and the flavor. These have got to be one of my favorite cookies to date. 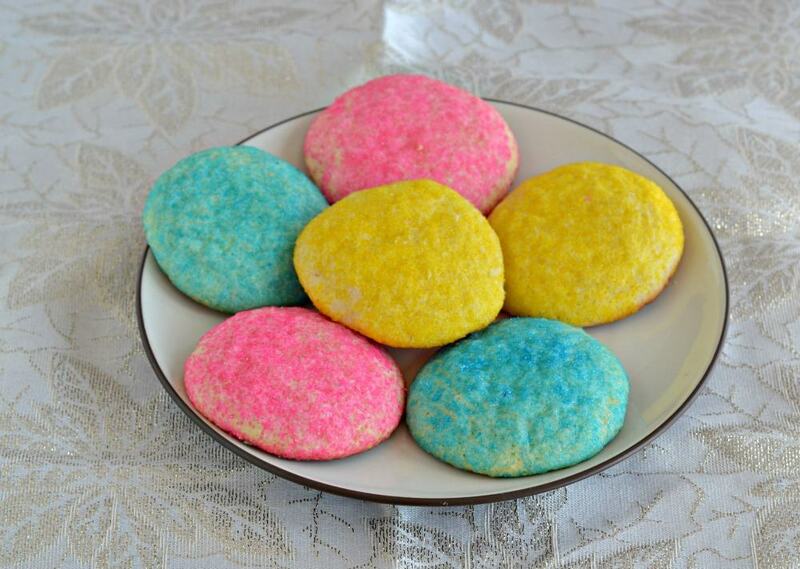 A tender and buttery almond cookie that sparkles with colored sugar. In a large bowl cream together the butter and sugar. Beat in the egg and vanilla. In a medium bowl combine the all purpose flour, almond flour, baking powder, and baking soda. Roll the cookie dough into a ball and refrigerate for 30 minutes to make it easier to handle. Roll the dough into 1 inch balls. Dip each ball into the colored sugar. 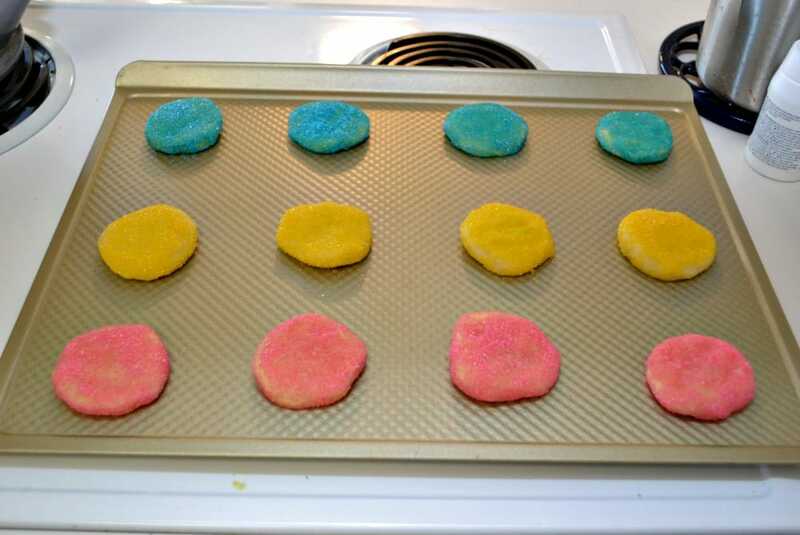 Place the cookies on an ungreased baking sheet and flatten slightly with your palm. Bake for 7-8 minutes or until the cookies have puffed up. Cool for 1-2 minutes on the baking sheet and then remove to a wire rack to cool completely.